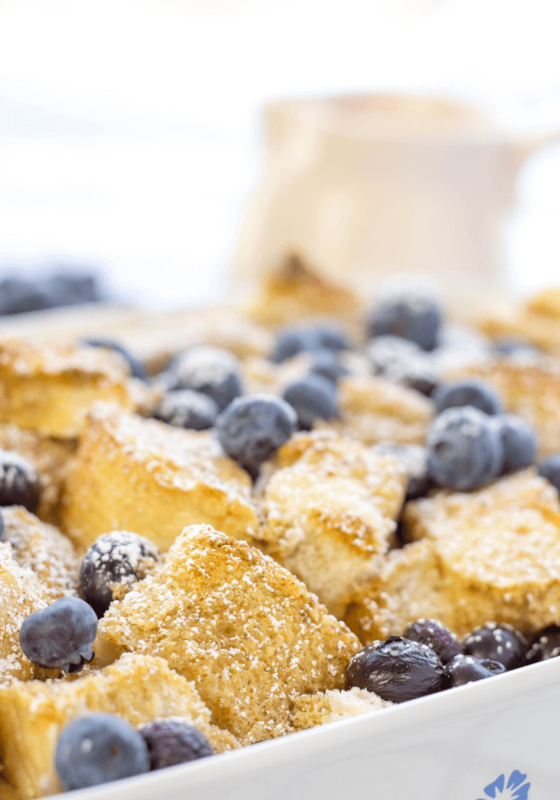 Blueberry French Toast Casserole is made with day old French bread, eggs, brown sugar, vanilla extract, cinnamon, milk and fresh blueberries topped with some powdered sugar, syrup and more fresh blueberries. 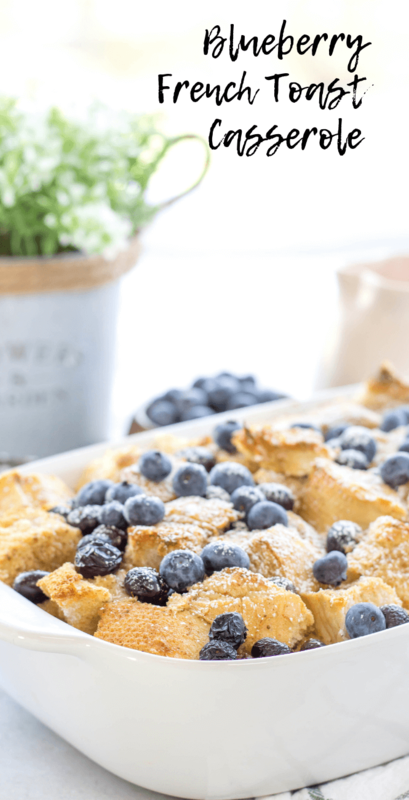 Brunch time this spring is looking extra tasty with this delicious casserole with fresh berries. 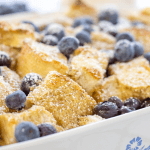 French toast casseroles are great for feeding guests or just for a nice weekend brunch with the family. 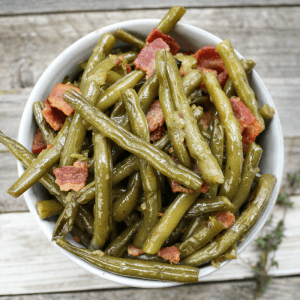 They are really easy to toss together and are affordable. 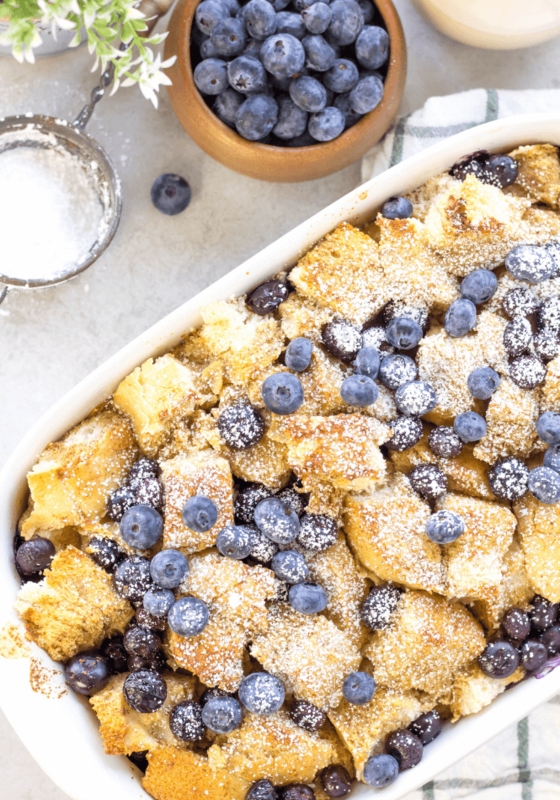 The blueberries add a nice pop of color to make a dish that typically looks little bleh, look really appetizing! Plus, the blueberries are sweet and add extra flavor. 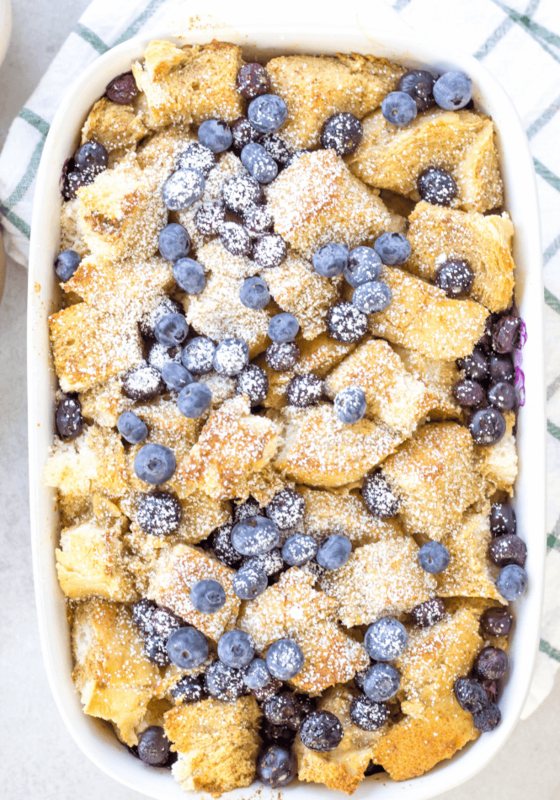 Blueberry French Toast Casserole has a crunchy outside layer and a really soft inside. You get a hint of cinnamon and juicy bites of berry. The perfect dish to wake up to! Day old, crusty bread works best. You can buy a fresh loaf, cube it and then have it sit out for a couple hours or until it becomes slightly stale. You can certainly whisk your egg mixture but I find that beating the eggs with hand mixer work best for a really nice consistency and texture in the casserole. Go ahead and prep this casserole the night before! Let the egg mixture soak into the bread before baking for best results. Cut or tear the day old loaf of bread into bite sized pieces. Place into a 9 x 13 inch casserole dish. Wash the blueberries and add one cup worth into casserole dish. In a mixing bowl, beat the eggs. then, add brown sugar, vanilla extract, cinnamon and milk and beat again. Pour into the casserole dish over the bread. Cover with aluminum foil and store in refrigerator until ready to bake. Overnight recommended. Uncover casserole and bake 45-55 minutes. 55 minutes with allow the top to get a nice crust. 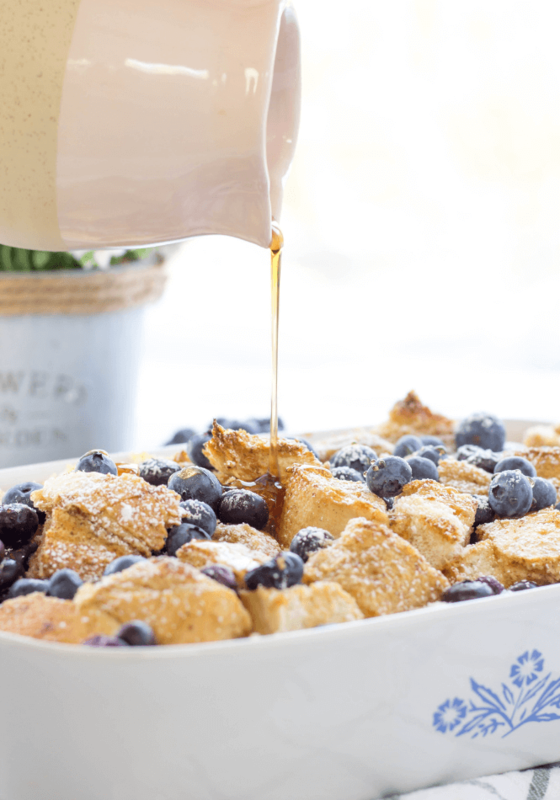 Top with the remaining fresh blueberries, a little bit of confectioners sugar and serve with maple syrup. At the top of the recipe, you mention brown sugar. The recipe list does not contain brown sugar. Hey Lucinda, 1/2 cup of brown sugar goes into the mix. Oh my gosh this look delicious! I need to make this for my kids as they would love it! Yum! I think this is perfect for easter morning! You can feed a bunch of people with this and its so darn easy. Yes! This would be great as part of an Easter brunch.